Peninsula Youth Theatre’s production of Joseph and the Amazing Technicolor Dreamcoat will rock the Mountain View CPA this May. This family-friendly favorite opens on 12 May 2018 and runs through the 20th. This Andrew Lloyd Webber/Tim Rice collaboration has the distinction of being their first musical to be performed publicly. The show started its evolution as a school concert piece in 1968. A Decca Records release followed in 1969, and then in 1970, the first stage production appeared. The first West End production debuted in 1973, and it finally hit the Broadway stage in 1982. Since then, the show has been revived multiple times though it’s still a very tight rock opera telling the biblical story of Joseph and his coat of many colors. The show runs just under 90s minutes (including intermission). Director/choreographer Marcie Shapiro and music/vocal director Steve Shapiro have shaped two very enthusiastic casts to bring their vision to life. The Shapiros have been heavily involved in community theatre and youth theatre in the area. They have a great affinity for inspiring these young actors (aged 8-18) to tell the story with confidence and verve and to execute some very challenging choreography with energy and precision. Some big messages in this show are the importance of community, believing in one’s self, and making one’s dreams come true. The Shapiros have some powerful experience with the messages in this story, and they have incorporated an adoring tribute to Eric Sun in this PYT production. Eric brought a vast community together last fall as he fulfilled a final life dream in a recent local production of Fiddler on the Roof. The Shapiros collaborated on that show as well, and although it was not specifically a youth theatre production, several Joseph cast members were also in the Fiddler cast. The story in Joseph begins in a schoolroom. The Shapiros have named the school SunDream Elementary in loving memory of this inspiring man and all that he brought to the community. While most of the music from Joseph isn’t particularly well-known outside of the show, it is catchy and uplifting. It’s a combination of pop and rock with a little jazz thrown in for good measure. Woodwinds (two per performance): Ande Jacobson, Asa Stern, Ron Bowman. This is a lively and touching show that is appropriate for all ages, so don’t miss it. Get your tickets now before they are all gone. Where: Mountain View Center for the Performing Arts, 500 Castro Street, Mountain View, CA. When: 12-20 May 2018, see: Joseph and the Amazing Technicolor Dreamcoat at PYT for more information. A Good Reed Review also gratefully accepts donations via PayPal to help defray the costs of maintaining this site without creating paywalls. Peninsula Youth Theatre is mounting an extravaganza not to be missed. 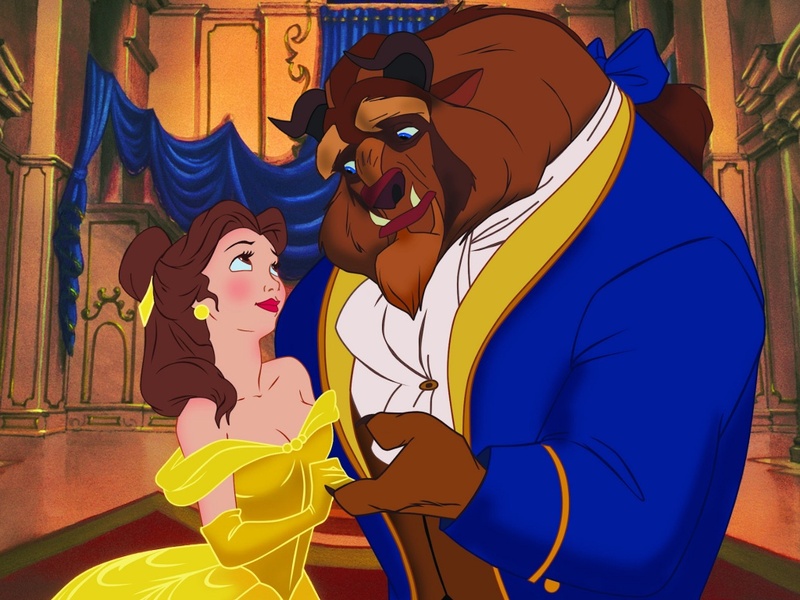 Beauty and the Beast is just about the perfect musical. The fairy tale dates back to 1740, originally penned by French novelist Gabriell-Suzanne Barbot de Villeneuve. Since then, there have been many invocations of the story in various forms, from print to film on both the large and small screens. Although it wasn’t the first time the story made it to the big screen, Disney released its animated spectacular with a Broadway-like score in 1991 and then transformed it into a Broadway musical in 1994. More recently, audiences have enjoyed the live action version of the Disney story in the 2017 film of the same name. When Disney began production of its animated version of the story, the Broadway musical team of Alan Menken and Howard Ashman wrote the music and lyrics. Although Ashman died before the film’s release, his lyrical work remained, and Tim Rice was brought in to work with Menken on the expanded version destined for the Broadway stage. Linda Woolverton wrote the book, first for the animated film, and later expanded it into the full two-act stage version. The stage musical characters are deeper, and the story tugs at the emotions of the audience. The story is now very well-known. A spoiled young prince shuns what he thinks is a haggard old woman offering a single rose in trade for shelter because her appearance offends him. She warns him to look beyond appearances, but he’s far too self-absorbed to listen. She’s really a powerful enchantress who teaches him the most valuable life lesson imaginable. Turning him into a hideous beast, she tells him that if he can learn to love, and be loved in return, the spell can be broken. Alas, the prince isn’t the only one caught up in the curse. Everyone in his employ is also affected, and each is slowly becoming an inanimate object. And so the race is on. Can the prince break the spell before the last rose petal drops? The result is “a tale as old as time” filled with comedy, heartfelt laments, action, and adventure for the entire family. Several new or expanded musical numbers appear in this stage adaptation that were not in the original animated film. Interestingly, the 2002 Special Edition DVD release of the animated version includes one of those expanded numbers (“Human Again”). It was originally written for the animated film but was cut for length for the theatrical release. Director/choreographer Brian Miller and vocal director Holly Smolik have shaped two very large and enthusiastic casts to bring their vision to life with an energy that is contagious. Both Miller and Smolik have a great affinity for youth theatre, and they are experts in harnessing their actors’ unbounded energy for good. The result is astounding as these young actors (aged 8-18) strut their stuff with confidence and execute some very challenging choreography with precision and pride. The music in this show is also beautiful. The score has a very classical feel as it adds great drama to the action, and the songs will stay with audiences long after they leave the theatre. There will be no A Good Reed Review review of this one as I will be on the podium leading the very talented community orchestra. The musicians include: woodwinds: Doreen Oroshnik, Marty McHan, Rebecca Ritger, Steven Holmes; strings: Jaime Yuen, Karen Law, Jessica Yuen, Rob Gloster, Jonathan Erman, Dan Meyers, Stephanie Spaid; brass: Dan Swinehart, Ed Lacina; keyboards: Del Quan, Karen Adkins; and percussion: Bob Wylie. Not all musicians will be playing every performance. When: 3-11 March 2018, see: Beauty and the Beast at PYT for more information.